In September 2010, I travelled together with Paul Penders Company to India. With my business partner, Ingmar Waarheid, also from The Netherlands, we are in the setup of an exciting plan called “Pure Wellness Travel” which is still a division under the Paul Penders Company umbrella. As both of us are in search for Ayurvedic wellness centres, during this group travel in India I met a very special person who stole my heart. 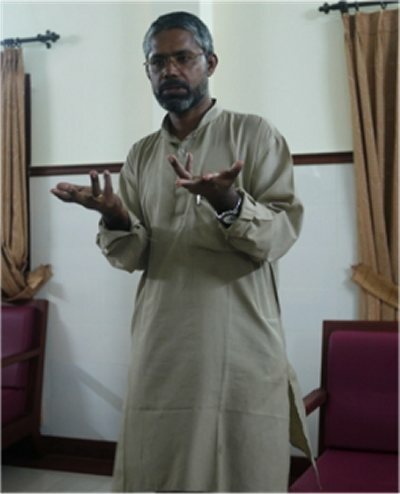 His name is: Acharya A.J. Snehadas. A.J. Snehadas was raised in one of the rural parts of India and is one of 9 children. His Catholic mother was a very open minded person and loved people of any religion, or, even no religion at all. She simply gave love to all. When he was 17, his mother passed away and this shocking experience in his young life was the direct reason for his search for overall love and truth. Then A.J. 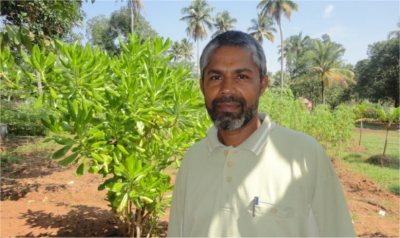 Snehadas decided to become a Catholic priest and started his priestly religious formation. He studied about Francis de Assisi in Italy and found out that he loved everyone and everything; people, the sun, animals, nature, etc. It reminded him so much about his mother who loved everybody as well. Later on he decided that he didn’t want to be a priest for the Catholics alone but a priest for everyone in life. One of the various questions he asked himself many times: Why is it so difficult to love each other? The answer he came up with was that because we are not taught to love ourselves first. If you do not love yourself first, how can you love one other? In the search for answers he also discovered yoga. In yoga you are taught first to find love in yourself and only then you can pass yoga on to others. After a great in depth study of yoga he became a teacher of it and felt only now he was able to share and give love to others. “It makes me so very happy myself when I can share Love with another person”. Today Acharya A.J. Snehadas is a well known teacher of Yoga in India. 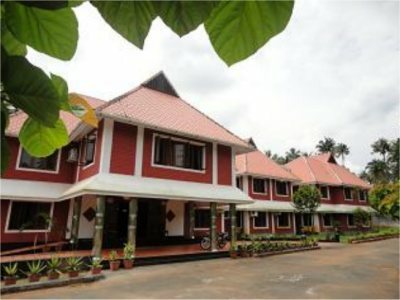 I had the privilege to attend some of his lessons during my stay at Sopanam Ayurvedic Hospital which is actually also an Ayurvedic Wellness Centre in the beautiful Kerala State located in South India. I noticed the passion and inner peace from Acharya AJ Snehadas when he explained different kinds of yoga all provided to us while we were staying in the Sopanam Wellness Centre. He taught me how to learn yoga and how to bring the specific principle techniques back home what means one can benefit from his yoga program for the rest of our life. You too can attend his yoga lessons as part of 1 to 3 weeks wellness cure at Sopanam Hospital. Not only your body, but also your mind gets fresh, vital energy, something we can use in our hectic daily lives. For more information please visit our website www.PureWellnessTravel.com. Practising yoga was a total new experience for me and unfortunately my stay was too short to attend all the lessons. But even in a short period I noticed a feel of peace and love provided through Sneha-Yoga. I made a commitment to myself to return to Sopanam Hospital to experience the entire program in order to benefit my life. A.J. Snehadas wrote two fascinating books. 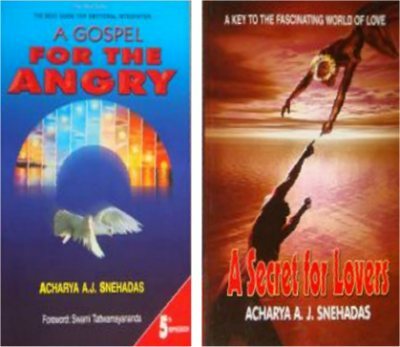 “A Secret for Lovers” ( ISBN: 81-7214-749-X) and “A Gospel For The Angry” ( ISBN 81-7495-071-0). Please email me at bastiaan@paulpenders.com and I make sure you get in contact with the publisher. Bastiaan Penders, 41 years old, was a successful loan officer at a bank in The Netherlands. Although he enjoyed working with the various people at the bank, he also felt the desire for a total new and fresh start in life. He actually did what many only dream about… He developed a 2-year plan to change his life radically. He quit his job, sold his car and his house and now lives on basic cost and without worries of the daily western lifestyle. He executed his desire to be free for opportunities to explore new things in life for deeper satisfaction.